The dream of one-click a cappella and instrumental tracks may soon be upon us. Audionamix Xtrax Stems 2 harnesses improving machine-learning algorithms to crank out better vocals, drum parts, and music beds from fully-mixed song files and export them as WAV or Native Instruments Stems files. Supported Audio Formats: Up to 32-bit/96kHz WAV files. AIFF, AAC, MP3, and MP4/M4A audio files are converted to WAV upon import. 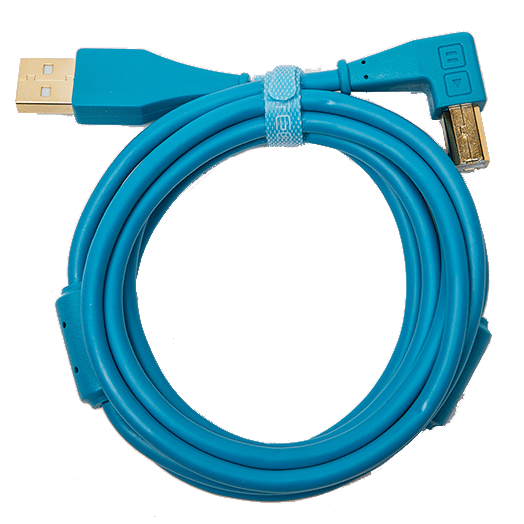 System Requirements: Mac OS 10.12 – 10.14 or Windows 7 SP1 – 10; high-speed Internet connection; 8GB RAM recommended. When I reviewed Audionamix Xtrax Stems v1.1 last for DJ Tech Tools last year, the track-separation software didn’t produce the best results, but I was optimistic for its potential to improve its “un-mixing” of music files. I’m pleased to say that less than a year later, Xtrax Stems, now at version 2.1, is in fact drastically better. Its processing of fully mixed music into Vocals, Drums, and Music stems is still far from perfect, but the results are much cleaner; the processing is faster; and there’s a new easy-but-powerful way to adjust the stem results after processing. Part of the reason I felt confident that Xtrax Stems would get better is because its track-separation technology is based on machine-learning algorithms, and data is the fuel for machine learning. The more data Audionamix feeds into its deep neural network that runs Xtrax Stems, the faster the machine learning improves. The software’s processing takes place in the cloud (which is why you have to be connected to high-speed Internet to use it), so the neural network has the analysis data from all the music Xtrax Stems users feed it. Even though Xtrax Stems 1.1 had less-than-ideal results, Audionamix probably benefitted from the early adopters who fed music into its database and helped the system improve. 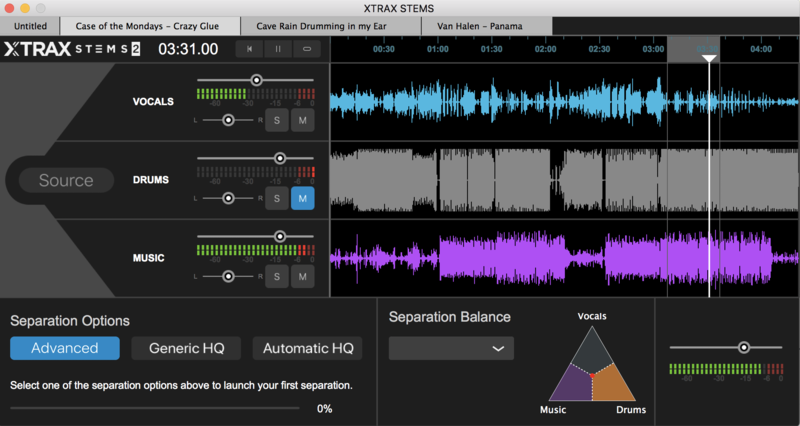 And now Xtrax Stems 2.1 has better track separation and a new Advanced algorithm. The software essentially works the same as before: just drag in a music file from your desktop and click one of the three Separation Options buttons. Each separation mode produces stems for Vocals, Drums, and Music tracks, but each one uses a different separation strategy for achieving slightly different results. The new Advanced separation mode is recommended for creating music backing tracks with the vocals removed. The Automatic HQ mode adds to the Vocals stem only when it detects voice activity and is recommended for creating a cappella tracks. 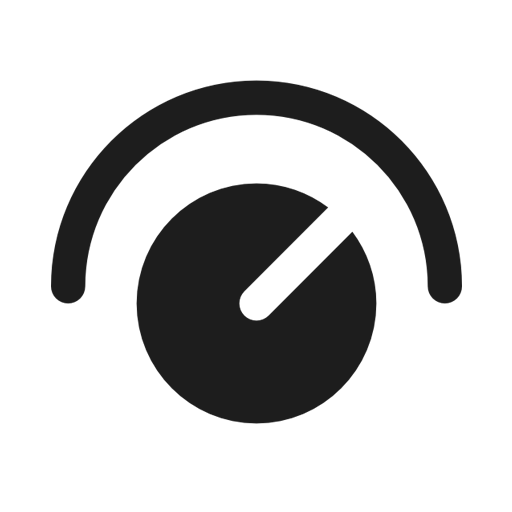 The Generic HQ mode extracts a Vocals stem from the entire duration of the file, which means it may work in separating a monophonic instrument line from a song. Xtrax Stems 2 in the processing of analyzing a WAV file. You can analyze your tracks with all three modes in the same Xtrax Stems project, and swap between them to compare the results. The three Separation Options require different processing times, but on average Xtrax Stems 2.1 took about 1 minute for each minute of a music file to analyze—around 30-50% faster than Xtrax Stems 1.1 was taking for me. DJs and producers have longed for an easy way to extract vocals from tracks as a way of creating both a cappellas and instrumentals from fully mixed songs. With the old version, I could scarcely ever come up with an a cappella or instrumental that was usable for the duration of a track. Instead, I could get little snippets of isolated vocals, drum beats, and instruments. The improvement to Xtrax Stems 2.1’s stem separation was noticeable straight away. You’re still not likely to get an entire vocal extracted cleanly all the way through. You’re likely to have some moments where the vocal isn’t completely isolated and has some unwanted audio artifacts or some bleed from the Drums and Music stems. However, the vocal separation works much better than before. Songs that I processed in the old version now in version 2.1 have much cleaner and intelligible vocal extraction, where the sound is not as pristine as a true studio a cappella, but still usable in a remix or mash-up. To be used in a new production, the Vocals stems will still need some editing, but if you can’t get an entire vocal track, you’ll still get an absolute jackpot of vocal samples. This leveling up of vocal separation also means that you can simply mute the Vocals stems and have a very respectable instrumental track using both the Drums and Music stems. What doesn’t always work as well are the Drums and Music stems on their own. While better than before, the Drums stems still have some overlap from the Music stems, and vice versa. 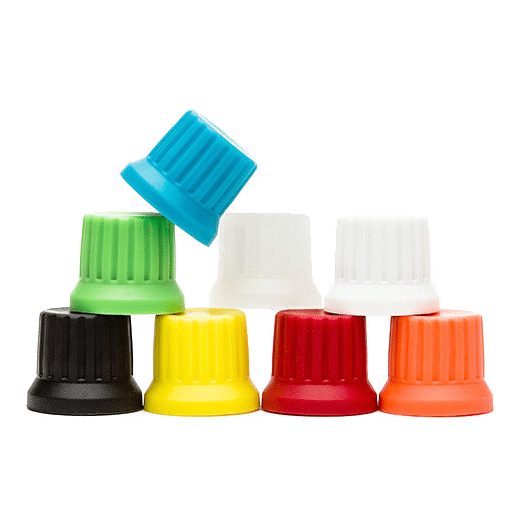 Luckily, Xtrax Stems 2 adds a very handy adjustment tool that can further improve the stems after their initial separation. The Separation Balance tool is a post-processing effect for adjusting the results of the stem separation. You can drag the focal point around the triangular matrix or select one of a few basic presets. 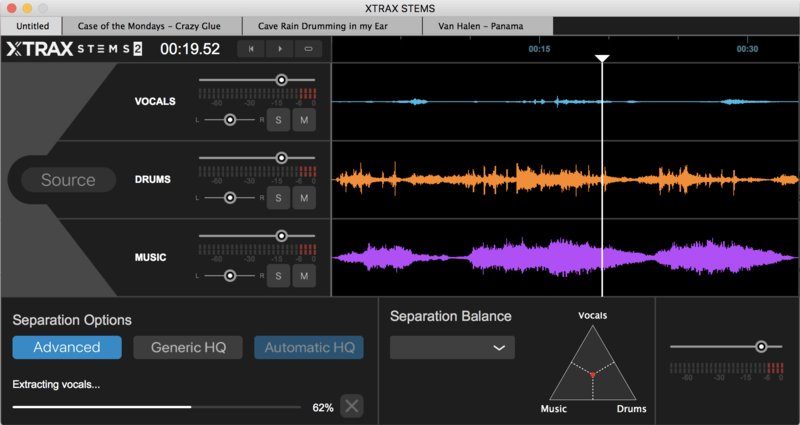 The new Separation Balance tool in Xtrax Stems 2 lets you adjust the un-mixing of your stems in real-time while you listen. To hear the changes, mute at least one of the stems while playing the track, and then drag the focal point within triangle-shaped matrix. This for example will let you hear more or less of the Drums in the Music, more or less of the Music in the Vocals, and so on. As you move the focal point closer to one extreme, it also acts as kind of a high-pass filter, so you could just hear the top end of the vocals, remove the kick from the Drums, etc. Again, this tool won’t necessarily result in the perfect stem that you want, but it is an easy and effective way to tweak and usually to improve the results of the stem separation. The effects of the Separation Balance, as well as the track panning and level controls will show up in your exported WAV files. Your export options are the same as before: You can export any or all of the stems, as well as the full mix either as the entire track or a selection of the track that you highlight in the timeline. 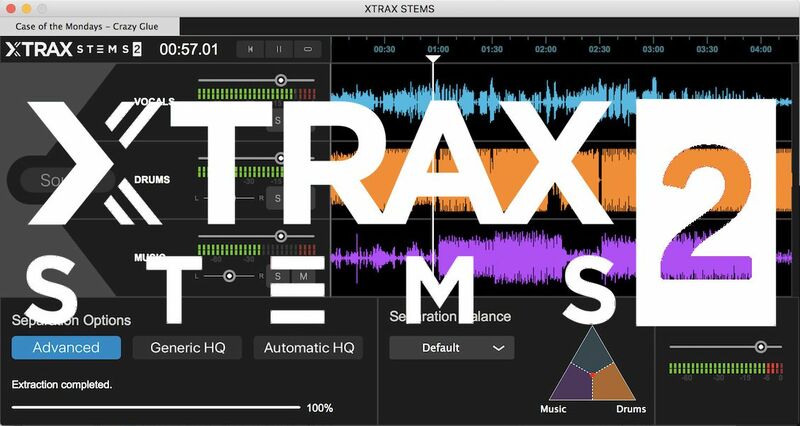 Xtrax Stems can also export your project as a Native Instruments Stems file (MP4), compatible with Traktor. 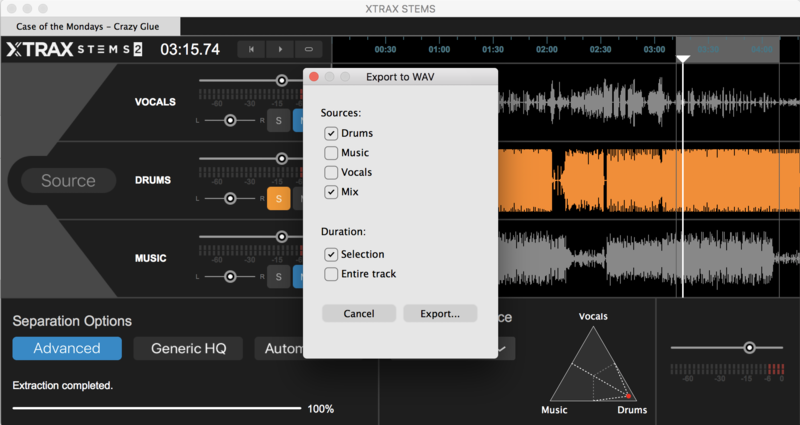 Xtrax Stems 2 can export any track or a full mix with the Separation Balance, volume, pan settings applied, either as a full-length track or the length of your timeline selection. My feeling on Xtrax Stems 1.1 was that it was only for people who wanted to experiment with a promising new technology with tempered expectations. 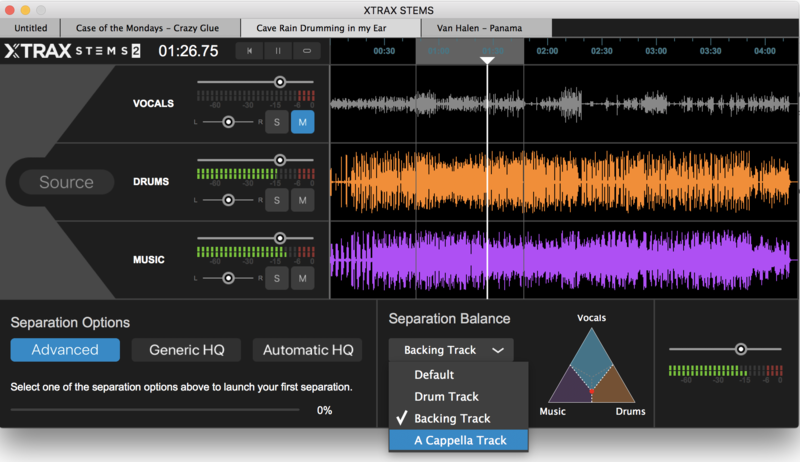 With this impressive update to version 2.1, Xtrax Stems is now a fantastic tool for pulling samples out of your music collection, and it is better at producing credible—but not perfect—a capellas and instrumentals. It’s less adept at isolating the Drums from the Music and the Music from the Drums, however, this progress bodes very well for the future. 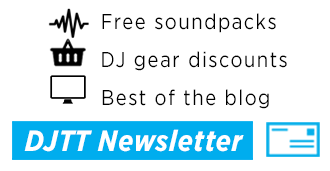 Xtrax Stems 1 license owners get a free upgrade to v2. I don’t know if v2 buyers will also get future free updates, but there’s strong reason to believe that as this software develops, the stem separation quality will continue to improve. 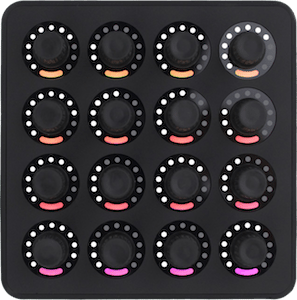 Hopefully down the line we’ll even get a fourth stem that extracts the bass from the Music stem, which would benefit everybody, especially Traktor Stem Deck DJs. 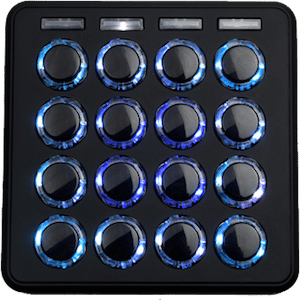 Want to hear a sample of of Xtrax Stems 2? Leave a comment with suggested tracks and we’ll choose a few to run through the app.